Grant Ernest John Tambling, the eldest of three children and known to his friends as 'Tambo', was born at Wondai, near Kingaroy, Queensland, on 20 June 1943. His parents, Ernest 'Tam' Tambling, and Edna, née Williamson, both schoolteachers, had married in Darwin in 1941, and returned there in 1946 after Ernest had completed army service at bases in New South Wales and Queensland. Grant Tambling attended Darwin Primary School, Darwin High School and Adelaide Boys' High School, matriculating in 1960. Back in Darwin, he worked and studied by correspondence for four years, before moving to Sydney for three years and joining the AMP Society as an insurance sales agent. In 1967, while in Sydney, he met a trainee nurse, Sandra ('Sandy') McDowall, whom he married in Sydney on 1 February 1969. Tambling continued to build his career with the AMP, covering Darwin, Arnhem Land and Gove, 'until Cyclone Tracy blew away all my clients in December 1974'. From the early 1970s, Tambling became increasingly active in community affairs and politics. He was an alderman of the Darwin City Council from 1972 to 1974, before becoming a member of the first fully-elected Northern Territory Legislative Assembly, holding the seat of Fannie Bay from 1974 to 1977. In the Legislative Assembly, he variously held executive responsibilities for community development, finance, and local government. He was a member of the Consultative Committee on Constitutional Development of the Northern Territory (1975–77)—an issue that he pursued passionately throughout his career—and was deputy leader of the Northern Territory Majority Party, the fledgling Country Liberal Party (CLP), from December 1975 to September 1977. After Cyclone Tracy, he was a member of the Darwin Reconstruction Commission from 1975 until 1978. The CLP evolved in 1974, combining the interests of the Australian Country Party–Northern Territory (established in 1966 to successfully support the campaign of S. E. 'Sam' Calder for the seat of Northern Territory in the House of Representatives) with those of the largely Darwin-based Northern Territory Liberal Party. Tambling joined the CLP in its first year of existence. Calder's retirement opened the opportunity for him to contest the CLP's preselection and win the seat of Northern Territory at the Commonwealth elections on 18 October 1980. In the previous year the CLP, which had no party room in Canberra, had ended its sole affiliation with the federal National Country Party (NCP) and became associated with both the NCP and the Liberal Party of Australia. While the joint association arrangements enabled CLP representatives in the Commonwealth Parliament to choose which non-Labor party they would sit with, there was a general understanding that they should divide themselves evenly between the NCP and the Liberals. Tambling sat as a member of the NCP, as had Calder before him. His CLP colleague, Senator Bern Kilgariff sat with the Liberals in the Senate. Tambling's tenure as Member for the Northern Territory lasted only one term, but helped to shape his main political interests: Aboriginal advancement, statehood and further development for the Northern Territory, defence, and closer links with South-East Asia, particularly Indonesia. He became a casualty of the Labor Party's victory at the election held on 5 March 1983, when the governing Fraser-Anthony Coalition lost twenty-four House of Representatives seats. Tambling returned to business interests in Darwin: a newsagency, and a family company, Territory Mutual, which was a health fund and building society. He also served as deputy chairman of the Northern Territory Planning Authority. Kilgariff's retirement in 1987 gave Tambling the opening to resume his political life. He won CLP preselection and was elected to the Senate on 11 July of that year, and renewed his federal allegiance to the NCP (known as the National Party of Australia (NPA) from 1982). Tambling identified his bedrock priority in his first speech to the Senate on 16 September 1987: 'I will never be apologetic about being parochial in my advocacy for the Northern Territory'. He listed new commercial ventures, mining expansions, Aboriginal initiatives in developing tourism, growth in education infrastructure, and the establishment of new defence facilities as examples of how the Territory had come of age and deserved full statehood: 'It is time the Federal Government recognised that statehood is essential now if Territorians are to take their place as equal Australians, with the same rights, privileges and responsibilities and the same degree of self-determination as other Australians. Territorians will no longer allow themselves to be treated as second class citizens'. Throughout his parliamentary career Tambling was a strong advocate of investment in the development of the Northern Territory, supporting federal initiatives such as the Joint Defence facility at Pine Gap, NT, the construction of the Alice Springs to Darwin leg of the North-South railway, and the expansion of mining, including uranium. He travelled extensively and constantly throughout the Territory to keep abreast of local issues. In 1996 and 1997 Tambling opposed a private member's bill introduced in the House of Representatives by the Liberal Party's Kevin Andrews to remove the powers of the Northern Territory and Australian Capital Territory legislative assemblies to make laws permitting euthanasia. The bill, passed in both houses by a 'free' vote in which members voted according to their personal preferences, overrode legislation passed in the NT Legislative Assembly in 1995 supporting voluntary euthanasia. For Tambling, the issue was not the merit or otherwise of voluntary euthanasia, but the infringement of the independence of territory legislatures. He said the bill was 'undemocratic and discriminatory' and that it stripped 'from territorians, whether they live in the Northern Territory, the Australian Capital Territory or Norfolk Island, the rights that every other Australian enjoys ... in the parliamentary process'. He joined with Bob Collins in supporting a remonstrance addressed to the Parliament from the Northern Territory Legislative Assembly which claimed that the measure would 'undermine the principles of self government and create impediments to the future constitutional development of the Northern Territory'. Tambling was a constant participant in debates on Aboriginal affairs, discussing administration of Northern Territory land councils, indigenous education, reconciliation, native title, health, and alcohol education and rehabilitation. He was a fierce opponent of the formation of the Aboriginal and Torres Strait Islander Commission (ATSIC) in 1988. Tambling later said that as a member of estimates committees his probing on Indigenous issues led the then Department of Aboriginal Affairs (DAA) to 'leak like a sieve', providing him with 'hundreds of significant issues and questions which when I posed them caused major governance and financial embarrassment to the Hawke Government'. His persistent questioning of spending by the DAA led to the resignation in November 1988 of the departmental secretary, Charles Perkins, over a DAA grant to a social club in Canberra (Perkins was later cleared of any impropriety). Prominent Aboriginal leader, Galarrwuy Yunupingu, accused Tambling of being 'hell bent on destroying the reputations of individual aboriginal people who are trying to achieve something for our people'. Tambling insisted that he was only seeking proper accountability for the spending of public money. During the years in Opposition to March 1996, Tambling remained an outspoken critic of government mismanagement and waste; his questioning in estimates committees exposed examples across a range of departments and agencies. Tambling was National Party Whip in the Senate between 1987 and 1990, and the party's Deputy Leader in the Senate from 1990 to 1993 and in 2000 and 2001. He was a member of the shadow ministry from April 1990, at different times taking responsibility for regional development, external territories, northern Australia, and housing and community services. Appointed as a parliamentary secretary when the Howard Government came to power in 1996, Tambling served in the portfolios of transport and regional development (March–October 1996), social security (October 1996–October 1998), and health and aged care (October 1998–November 2001). He claimed among his achievements as parliamentary secretary improved regulation of food, complementary health care and pharmaceutical industries, better access to social security by rural clients, and assistance to the Minister for Social Security, Jocelyn Newman in setting up Centrelink during 1997. Tambling was a tenacious character who was not afraid to mix it with the best in political forums and stand firm on his beliefs. 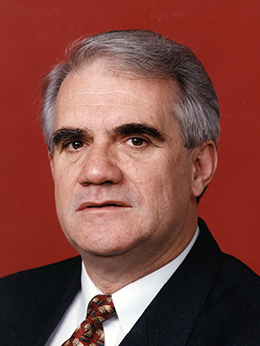 Apart from his stands on Aboriginal issues, euthanasia and Territory rights, he crossed the floor of the House of Representatives in June 1981, joining seven Liberals in support of an amendment of the Airlines Agreement Bill 1981 moved by the Liberals' Peter Shack to limit the duration of the domestic two airline agreement. Unlike most in the National Party at the time, Tambling was an avowed republican, openly campaigning in favour of a 'yes' vote at the republic referendum on 6 November 1999. With elections on the horizon towards the end of 2001, Tambling advised the CLP he would seek preselection for a further term and was duly re-endorsed in February of that year. But his political career was cut short over his support for the Howard Government's Interactive Gambling Bill, introduced in June 2001 with the aim of banning online gambling. The NT boasted Australia's only operational online casino, Lasseters in Alice Springs, and the CLP, at organisational and territory assembly levels, was strenuously opposed to the bill. While Tambling was concerned at the potential for internet gambling to encourage addiction and associated social problems, he was not opposed to gambling. However, his position in the ministry required his solidarity with government policy. He successfully argued for amendments to the legislation that met some of the concerns of NT gaming interests, but the CLP had previously advised that he should cross the floor 'irrespective of whether the legislation was amended or not'. The CLP president, Suzanne Cavanagh, gave a public warning to Tambling that he 'must vote against' the bill, and 'if the Senator does not heed that advice then he can be certain that the party that pre-selected him will review that decision'. Within days of the passage of the legislation, which Tambling supported, the threat to revoke his endorsement was carried out. Tambling sought an injunction from the Supreme Court of the Northern Territory to prevent the CLP from revoking his preselection. He also raised the issue as a matter of privilege with the President of the Senate, and it was referred to the Committee of Privileges on 7 August 2001. Proceedings were stayed in the Supreme Court when the parties agreed to a settlement in which a new preselection committee was constituted. The new committee revoked Tambling's preselection, and in accordance with the law applying to territory senators, his Senate term concluded at the election of 10 November 2001. In 2002 the Senate Committee of Privileges found that the CLP had purported to direct Tambling as to how he should vote on the bill, and had imposed a penalty on him by revoking his endorsement. Although the party's actions had been 'reckless and ill-judged', the committee decided that on balance 'a contempt of the Senate should not be found'. The committee took Tambling's settlement with the CLP into account. In one of his last Senate speeches, Tambling offered an apology to the Territory's Aborigines 'for the things that I have not done and the programs that I have not accelerated fast enough ... I hope that others will pick up many of those important programs'. During the valedictories for Tambling, Labor's Senator Patricia Crossin noted that he was 'one of the few Australians ever to have sat in a chamber at all levels of government: at local city council level, in the House of Representatives and in the Senate'. Liberal Senator Ian Macdonald described Tambling as 'underused in this place. He should have gone on to bigger and better things'. Macdonald believed that if, on his arrival in the Senate, Tambling had chosen to join the Liberals instead of the NCP, 'I am quite confident that he would have been a minister in the government now'. Back in Darwin, Tambling became a voluntary advisor and facilitator to several community, church and education organisations. He established himself as a public affairs consultant and in 2003 was appointed to review allowances and salaries paid to Darwin City Council aldermen and to chair a panel reviewing the Commonwealth's renewable energy legislation. Tambling was appointed Administrator of Norfolk Island from 1 November 2003 and in a parting shot to the CLP declared on the eve of his departure that it had to get rid of the 'dead wood', including its then leader, Denis Burke. Tambling arrived at Norfolk Island in the midst of considerable upheaval in the normally peaceful island community: the island's first murder trial was taking place, following the brutal killing of Janelle Patton, an Australian working on the island. The notoriety generated by that event was compounded in July the following year when the island's land and environment minister, Ivens 'Toon' Buffett, was shot and killed by his mentally disturbed son. This occurred at the Legislative Assembly chambers, a hundred metres from Government House. The island also faced considerable financial and administrative challenges during Tambling's term. The locally owned airline collapsed in June 2005, devastating the tourism industry, which made up a major part of Norfolk's economy, and leaving the local government facing solvency problems. After his retirement as Administrator in August 2007, Tambling reported comprehensively to both the Howard and subsequent Rudd governments, and to the Senate Select Committee on State Government Financial Management, helping to establish a continuing review process of Norfolk Island's financial and constitutional status. Tambling returned to Darwin to enjoy family life with his wife, son and daughter and several grandchildren. In April 2008 he accepted an appointment by the NT Labor Government as a part-time member of the Development Consent Authority, a body with town planning responsibilities for the City of Darwin. A lay preacher of the Uniting Church and a former chairman of its Darwin congregation, Tambling maintained close links with many of his former parliamentary colleagues and an ongoing interest in Commonwealth and Northern Territory politics. Tambling was made a Member of the Order of Australia (AM) in the 2011 Australia Day honours 'for service to the Parliament of Australia, to the community of Norfolk Island, and to the Northern Territory through contributions to local, state and Federal government'. He regarded his time in the Senate as the most rewarding period of his public service. He looked forward to the time when senators from the Northern Territory, perhaps together with those from the ACT, might hold the balance of power, adding: 'that will make for an interesting scenario of interests equal to the initially envisaged role of the Senate as the 'States' House'. Emails to the author from Grant Tambling, 6 Nov. 2008, 10 Sept. 2008, 23 Sept. 2008; 'Profile: Senator Grant Tambling', House Magazine, 3 May 1989, p. 3; Alistair Heatley, The Territory Party: The Northern Territory Country Liberal Party 1974–1998, NT University Press, Darwin, 1998. Heatley, The Territory Party, pp. 8–9; Paul Davey, Ninety Not Out: The Nationals 1920–2010, UNSW Press, Syd., 2010, pp. 116, 184–5. CPD, 16 Sept. 1987, pp. 182–6, 21 Oct. 1987, pp. 1056–8, 2 March 1992, pp. 474–7, 28 Oct. 1996, pp. 4574–9, 19 March 1997, pp. 1878–82, 22 Nov. 1999, pp. 10355–6. Email, 6 Nov. 2008; 'Land Rights: the Right Perspective', Edited address by Senator Grant Tambling to Katherine Branch, NT Confederation of Industry and Commerce, 17 May 1989; CPD, 9 May 1991, pp. 3081–4 , 11 Aug. 1999, pp. 7252–4, 24 Nov. 1999, pp. 10553–5, 26 Aug. 1999, pp. 7831–2, 31 Aug 1999, pp. 8046–9, 7 March, 2000, 12273–4, 16 Aug. 2000, pp. 16534–6, 8 March 2001, pp. 22899–10; Media Release, Senator Grant Tambling, 1 March 1989; CPD, 18 Dec. 1987, pp. 3447–50, 29 Nov. 1988, pp. 3108–13, 11 April 1989, pp. 1361–6; SMH, 5 Nov. 1988, p. 41; Sunday Territorian (Darwin), 30 Oct. 1988, p. 17; CPD, 20 April 1988, pp. 1782–4, 8 June 1989, pp. 3628–32. The Tambling Report, Farewell Edition 2001. CPD, 10 Aug. 1999, pp. 7186–7, 21 June 2001, pp. 24845–9, 27 June 2001, 25270–1; Sunday Territorian (Darwin), 24 June 2001, p. 16; Senate Committee of Privileges, 103rd Report: Possible Improper Influence and Penalty on a Senator, Canberra, June 2002. CPD, 26 Sept. 2001, pp. 27953–5, 27 Sept. 2001, pp. 28251, 28254–67. Northern Territory News (Darwin), 29 Oct. 2003, p. 4; Senate Select Committee on State Government Financial Management, Report, Canberra, Sept. 2008. This biography was first published in The Biographical Dictionary of the Australian Senate, Vol. 4, 1983-2002, Department of the Senate, Canberra, 2017, pp. 149-153.